Best-selling author Erik Qualman clearly demonstrates the power of online marketing in this impressive video. Here are some interesting statistics. 80% of companies are using LinkedIn as their primary tool to find employees. In the future, we will no longer search for products and services, they will find us via social media. Social media is a fundamental shift in the way we communicate. It’s no longer social media, it’s socialnomics. Make It Count Marketing now provides an integrated social media solution to Small Businesses. The Social Business Package is designed to generate content targeted specifically to your clients and prospects – tailored to your particular industry. 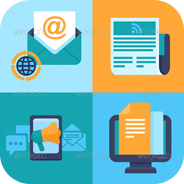 This package effectively manages your email marketing, public relations and social media marketing in one, turnkey solution. The result is more exposure and more revenue for your company. Content is the number one reason why companies get high search engine results, and when combined with PR and social media, the results are outstanding. Read this article posted on The Street. This social media package is available to small businesses working with Make It Count Marketing. Here’s what the Social Business Package will do for your company. Our services will integrate your email marketing, blogging, public relations and social media for optimum results. We’ll elevate your brand – providing exposure for your products and services across the internet to editors, reporters, your clients, business colleagues and prospective customers. Your brand generates a whole new level of “buzz.” You’ll be recognized as the expert in your field. Magazines, journals, TV stations, bloggers, search engines, radio stations – they’ll all get your product and service announcements. Your email marketing will get results. We’ll track analytics and let you know what information excites your audience. 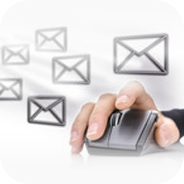 At the same time we distribute your email, we’ll post it on your social media sites. And we’ll keep your name in front of the customer by weekly posting of appropriate information concerning your industry. Want to change the way you market? Want results? Our Social Business Package will bring you business. Editorial Calendar creation: we develop an editorial calendar based on 12 months of information. Creating a calendar of content is a good way to ensure that there is always information to include in your marketing messages and it is the best way to keep your marketing efforts consistent. 6 press releases a year: content written for your approval and posted to a nationally recognized PR Database. Monthly email communication to your database: including email marketing design, formatting of your article, distribution and database management. (This package includes one article of 500 words or less per month). Additional articles to be used for blogs and email marketing is provided at $240/article. Social Media: Your Email communication is posted monthly to Facebook, Twitter, Google+ and LinkedIn. PLUS, we create 4 additional posts (once a week each month) to Facebook, Twitter, Google+ and LinkedIn. If you are interested in the Social Business Package from Make It Count Marketing, please call us at 301-467-2501 or email us at MJ@MakeItCountMarketing.com.